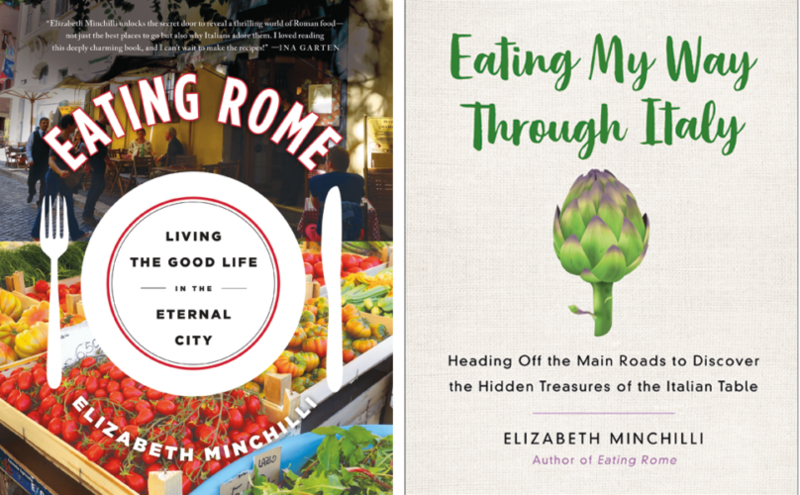 From food tours and workshops to recipes and reviews, Elizabeth Minchilli is your go-to connoisseuse! Discover the foodie in you when you travel through The Boot with her Eat Italy App, or bring Italy home with you in the form of her books. Either way, this epicurean angel will lead you towards tastebud heaven. Married to an Italian and living in Italy put Minchilli in a unique position to explore the country’s cultural crevasses. She started out as a travel blogger and writer, covering Italian design, shopping and destinations. Soon, however, gastronomy became her focus. Her insight, tips and talent caught the attention of St. Martin’s Press, who offered her a book deal. From there on, her empire sprawled rapidly. So much so that she has been able to launch food tours, day trips and workshops together with her daughter. Eating Rome, which came out in 2015, is dedicated to Rome’s gastronomy and all it entails. Indeed, having grown up there allowed her to dine out on more than just the food. Her next book, Eating My Way Through Italy (2018), branches out into the country as a whole. She explores several Italian regions and their unique cuisine. Both titles make for nourishing reads, as they offer personal anecdotes, advice, expert tips and recipes. Whether you’re visiting for the first or the hundredth time, Minchilli’s got something for you. What’s more, her ninth book, entitled The Italian Dinner Party Handbook, is due in 2019. We can’t wait! All you foodies out there would be remiss not to consider Elizabeth Minchilli’s free Eat Italy app. It focuses on gastronomy by region – namely Rome, Venice, Florence, Milan, Puglia and Umbria. You’ll find restaurant suggestions, wine and coffee bars, local stores and bakeries. There are even some hotel suggestions for each area. The database is ever-increasing, and many more regions are planned in the coming months, so keep your eyes peeled! You can download the app from her site, or on iTunes and Google Play. 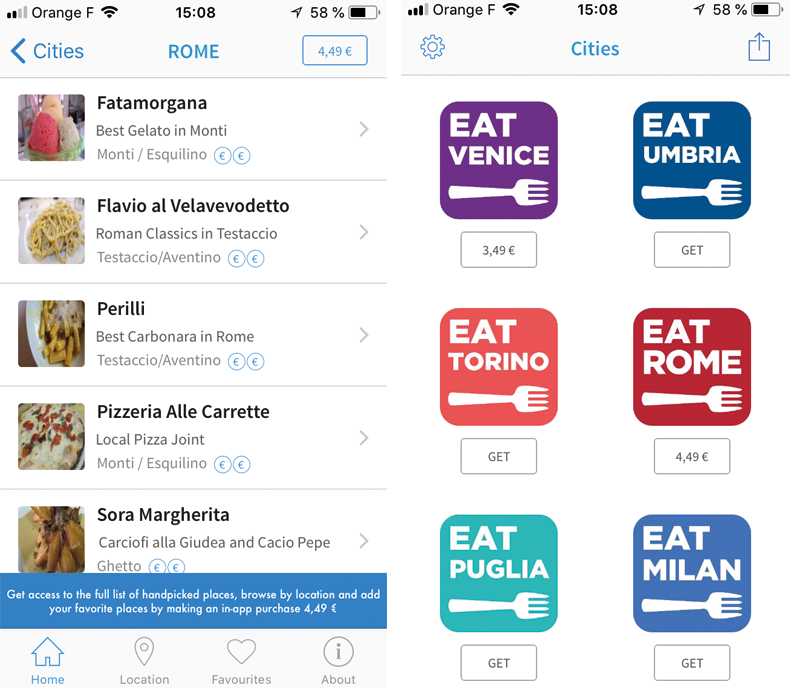 Search the Eat Italy app for restaurant, bar and cafe recommendations depending on your location. So, what to eat and where to find it? Local delicacies and treats? Nearby bars and cafes? Authentic tours and food excursions? Elizabeth Minchilli is your girl! Buy the books, download the apps or try out a recipe on the official website.